Federal officials have removed the management team overseeing a national database of dangerous or incompetent caregivers after questions were raised by ProPublica about its accuracy. The reassignments of the division director and four managers came in response to our story last month that found the repository was likely missing thousands of serious disciplinary cases against health providers. Congress ordered up the database more than 20 years ago. It was supposed to provide an alert system for hospitals, flagging them to disciplinary actions taken in any state against nurses, therapists, pharmacists and other licensed health professionals. It finally became available to hospitals Monday. But it comes with a warning: Federal officials are "currently reviewing the completeness and accuracy of state licensure information." The Health Resources and Services Administration (HRSA) declined Monday to make its administrator and the new director overseeing the database available for interviews. The agency also wouldn’t comment on the personnel changes. But in an internal e-mail sent last week, Mark S. Pincus, the newly named acting director of the Division of Practitioner Data Banks, confirmed the reassignments. Pincus had previously led the program from 2004 to 2007. HRSA officials would not comment about why Pincus was chosen given the gaps in the database during his previous tenure. Pincus replaces Darryl A. Gray, who told reporters last month that his staff "constantly" monitored state regulators' Web sites to ensure the federal database was complete. Gray did not respond to an e-mail seeking comment Monday. ProPublica’s own review found that at least 20 states, including California, Illinois and Tennessee, failed to adequately report the sanctions they took as required by federal law. After reviewing these findings, Mary Wakefield, HRSA’s administrator, conceded that the database was incomplete. She ordered an audit, offered technical assistance to states and sent letters to every governor requesting their help. In the letters, she wrote that agencies that did not report disciplinary actions to the database would be publicized. State officials say they are taking steps to ensure that their records are complete. Many said the federal government had never questioned them about their missing records. In California, for example, the executive officers of the agencies overseeing psychiatric technicians and occupational therapists hadn’t reported any disciplinary actions. In the last two years, dozens of psych techs had their licenses restricted or taken away after serious misconduct. Both agencies said they plan to report in the future. In Tennessee, certified nurse aides weren’t reported. And in Illinois, emergency medical technicians were left out. In addition, many state regulators said reporting to the database is cumbersome and often confusing, making it difficult to meet the federal mandate. One state nursing regulator said she often had a staffer working full time to sort out discrepancies. 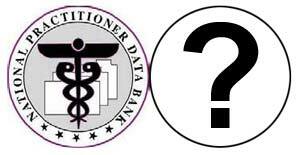 Hospitals began using the National Practitioner Data Bank in 1990 to research doctors and dentists. But a series of problems delayed its expansion to other health providers until now. On Monday, hospitals were finally able to access data on about 280,000 nurses and other practitioners who have been disciplined by states. Federal officials are still assessing how many more will be added once the gaps are filled. The database is not open to the public.